» Produkty na gryzonie » Archive by Category "Pułapka na szczury"
Glue trap highly efficient at trapping rodents. Easy to use, reliable, can be used at places where the traditional chemical or mechanical products are inadvisable. The non-toxic glue used in the trap has luring properties. 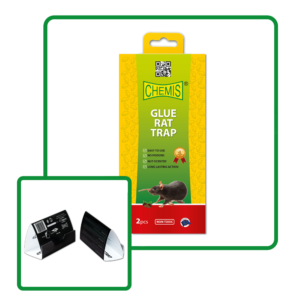 Glue traps assure top luring efficiency in order to monitor rodents.